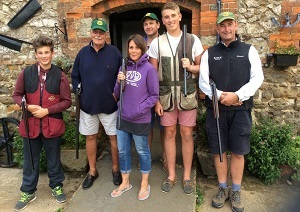 This is a family run Isle of Wight business, we have over 60 year’s experience in Clay Pigeon Shooting. For those who wish to experience this unique and enjoyable sport on the IOW, come and take part in the fun and exhilaration! 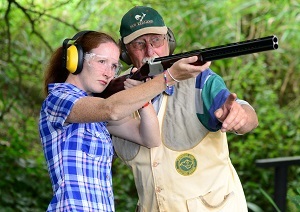 Clay shooting is one of the fastest growing sports in the UK today and can be enjoyed by anyone. Located on the beautiful south west coast of the Isle of Wight, we can offer a memorable and enjoyable time at our Shooting ground. We cater for many types of people from beginners to professional competitors. We offer guidance, tailored lessons, professional coaching and equipment where necessary. We also host corporate team building events, club shoots, stag and hen experiences, or a group who want to hire the ground for a private shoot. 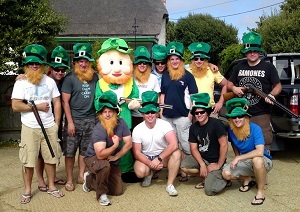 We provide an excellent experience for anyone wanting to arrange a group outing from team building days to Stag & Hen parties. Located at Shepherds Chine on the stunning south coast of the Island. There is a huge variety of targets with some breathtaking scenery. Over 60 years experience. 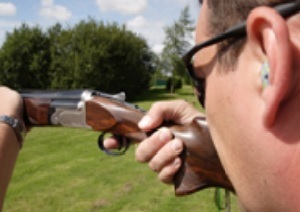 We pride ourselves in helping people enjoy and experience the Sport of Clay Pigeon shooting. We provide coaching & Lessons from beginners to anyone wishing to brush up on their shooting with an array of targets to suit all. 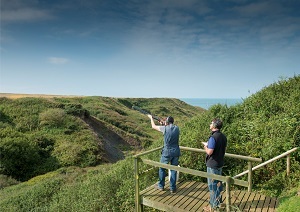 We have a range of clay pigeon shooting packages to suit everyone from individuals to large groups on the Isle of Wight. Our Isle of Wight shooting ground is based on the beautiful south west coast of the Island at Shepherds Chine, Military Road. 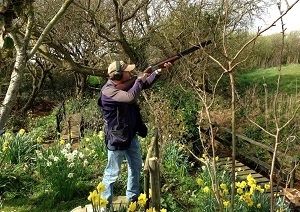 Island Clay Breaks organises numerous events which are attended by both individuals and sporting Gun Clubs from around the British Isles. We can organise shoots specifically for your own club or group of friends and arrange accommodation and catering if required. Our prices are reasonable and we would be pleased to discuss your requirements on an individual basis.